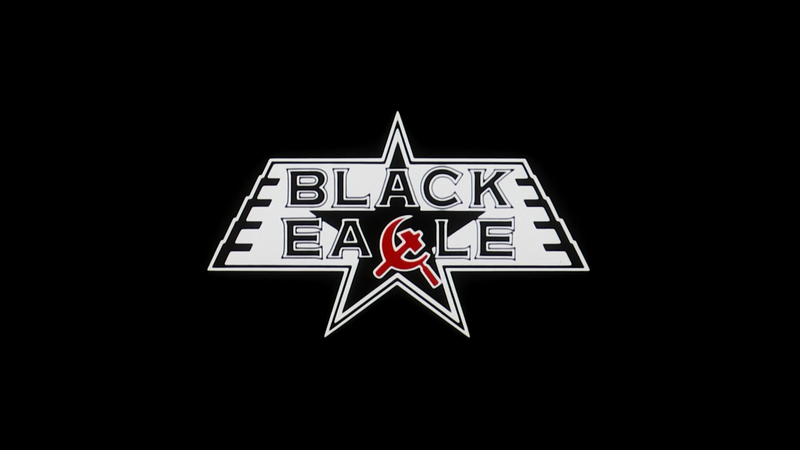 Black Eagle is a cheesy 1980s action/spy schlock that is weak on the fights, surprising given Sho Kosugi’s history, and a story that felt like second-rate Mission: Impossible or James Bond. Black Eagle stars martial artist Sho Kosugi as Ken Tani, the CIA’s top agent who is tasked with recovering a laser guidance system on board an F-111 Aardvark that was shot down in Malta. It’s a race against time as the Russians are also in the area wanting the weapon for them. 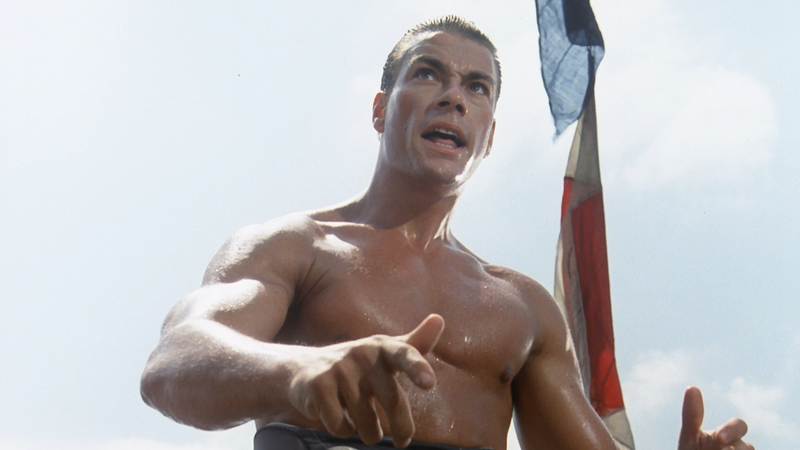 Amongst their ranks is highly trained KGB agent, Andrei (JEAN-CLAUDE VAN DAMME). But in order to get Tani to Malta, because he was due a two week vacation with his two sons, the CIA has those kids taken to Malta so he may see his kids and still complete the mission. Smart. 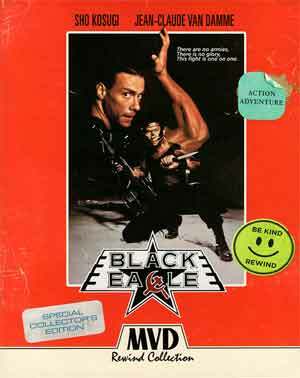 Quick Hit Review: Although Black Eagle has some cheesy fun moments, the plot is something out of some rejected Mission: Impossible show script and a star in Sho Kosugi being an absolute bad actor, although when he is able to show off his martial arts skills, isn’t too bad, just a shame his fights opposite Jean-Claude Van Damme were rather disappointing and really makes this an average 1980s action-adventure film… at best. This is the third in MVD’s “Special Collector’s Edition” series and comes with a matted slip cover. Inside is a mini-poster for the movie. Sho Kosugi: Martial Arts Legend (21:24; HD) – In this new interview, Kosugi talks about how he got into martial arts and going into acting. The Making of Black Eagle (35:45; HD) features new interviews with Producer/Director Eric Karson, Screenwriter Michael Gonzalez and Actors Sho Kosugi, Doran Clark, Shane Kosugi and Dorota Puzio. It’s quite interesting where you get some insights into their individual careers and on the project itself. The Script and the Screenwriters (27:22; HD) – Writer Michael Gonzalez, along with Eric Karson, provides his story on how he came on board to scripting Black Eagle. Deleted Scenes (11:16; HD) – Not entirely sure, but I’m wondering if some of these were scenes that were inserted into the “Extended Version” (which is the one I watched). MVD releases Black Eagle for the first on Blu-ray in North America presented with a 1.78 widescreen aspect ratio and given a 1080p high-definition. Based on my research, this was the best transfer available, unfortunately, as although detail was okay, it does seem DNR was utilized while colors were a bit subdued. This is likely the same source used in the UK and Germany releases. The theatrical version comes with both a Dolby Digital 5.1 and PCM 2.0 which the extended version has the PCM 2.0 track. As such, the audio itself is fine providing some good dialogue levels while the action scenes do have some modest depth but don’t expect anything overpowering. 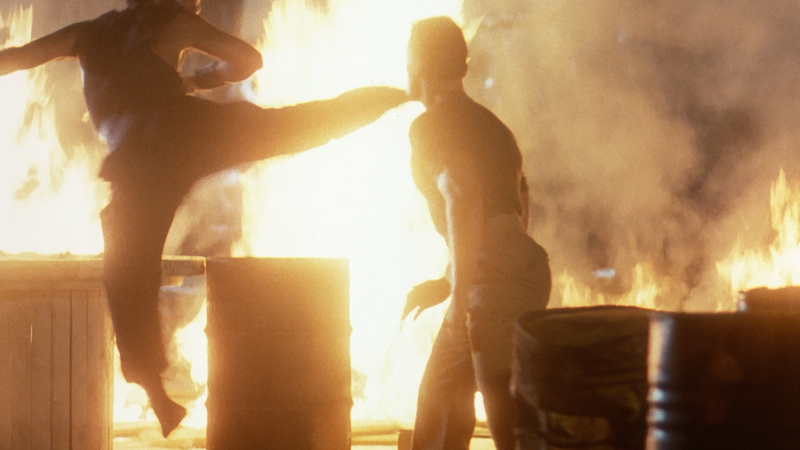 Overall, Black Eagle is a cheesy 1980s action/spy schlock that is weak on the fights, surprising given Sho Kosugi’s history, and a story that felt like second-rate Mission: Impossible or James Bond. Making matters worse, Kosugi’s isn’t exactly a great actor while Jean-Claude Van Damme’s inclusion some elevated the film, but not by much and overdid his, I guess, trademarked, splits. This Blu-ray release by MVD offers up a flawed but serviceable enough video and audio transfers and a fine selection of bonus features.